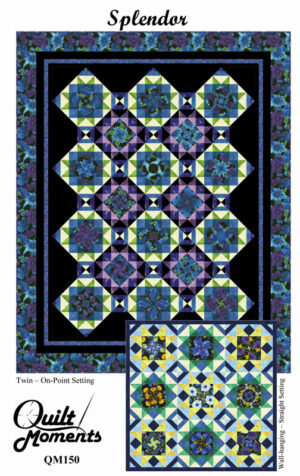 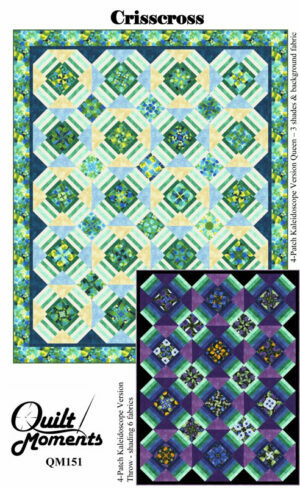 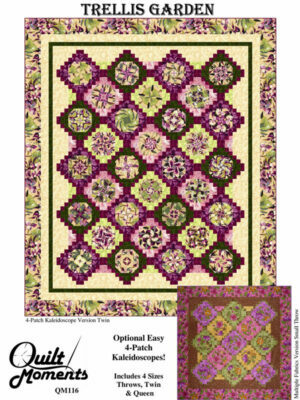 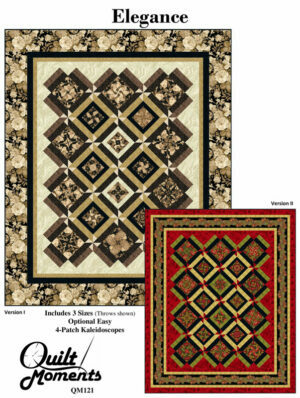 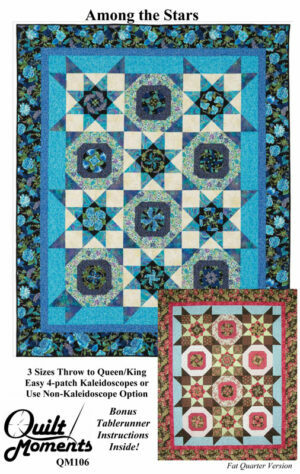 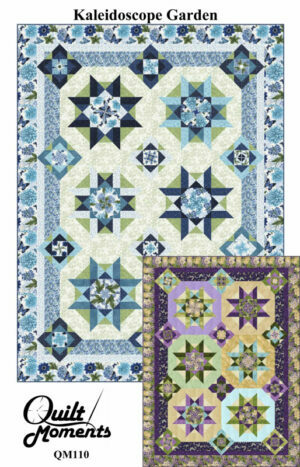 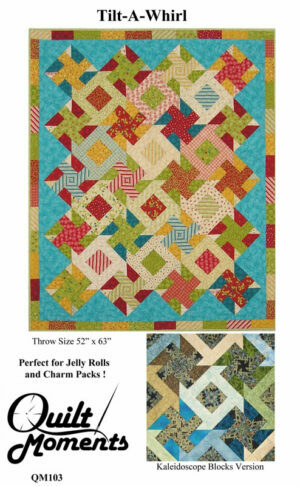 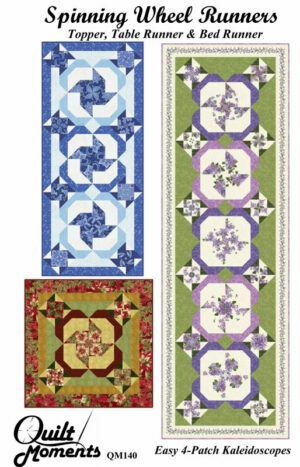 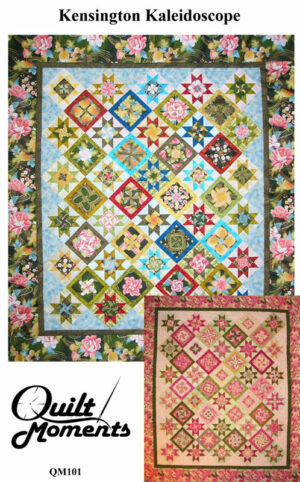 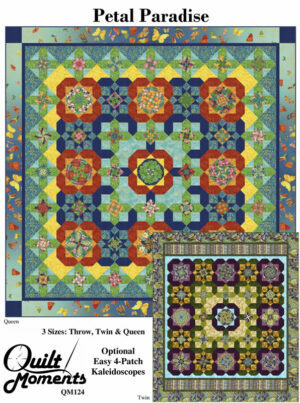 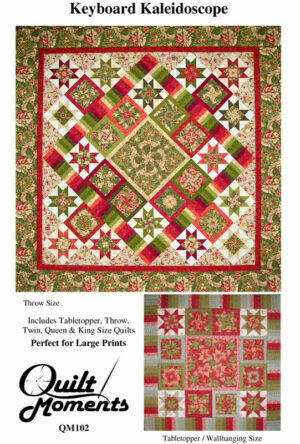 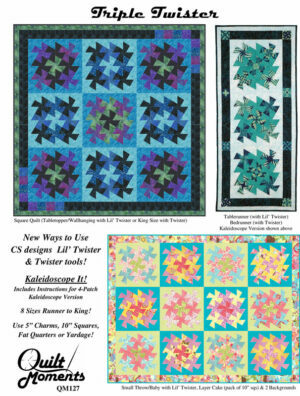 For this easy technique, strip sets are cut from four identical repeats of a large print feature fabric which are carefully layered on top of each other and precisely positioned with flat flowerhead pins. 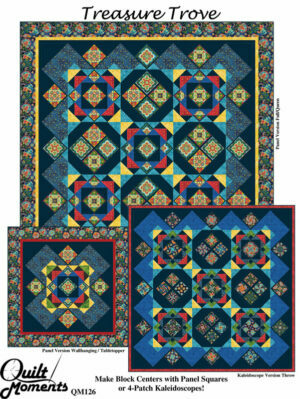 The strip sets are then sub-cut into square sets and the magic happens when you rotate the squares and have fun choosing your favorite 4-patch arrangements. 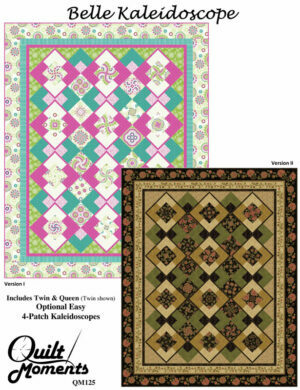 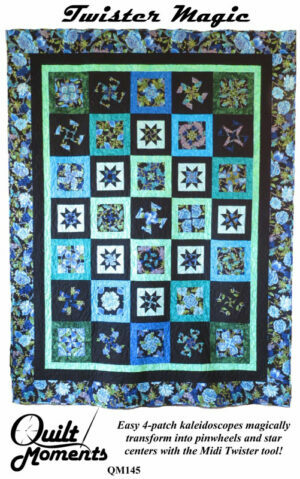 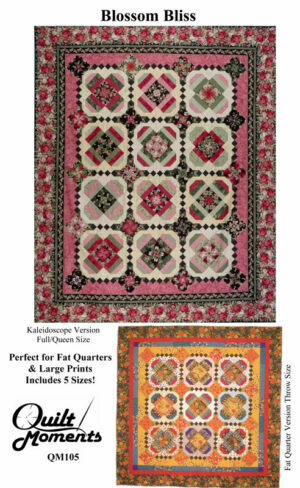 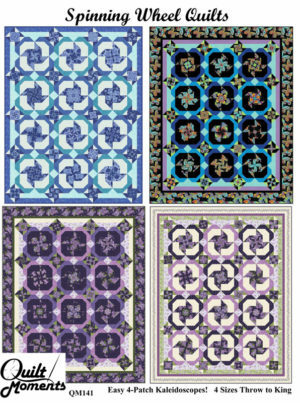 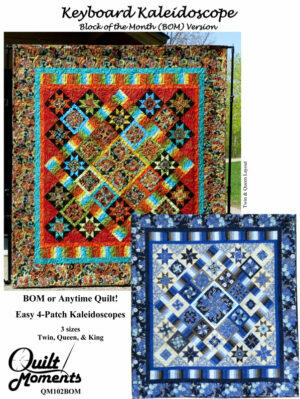 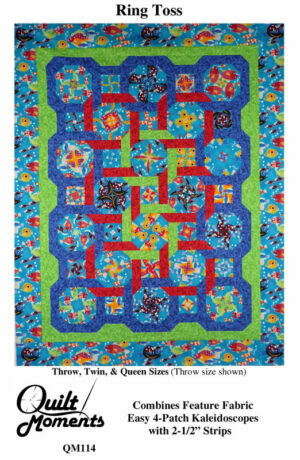 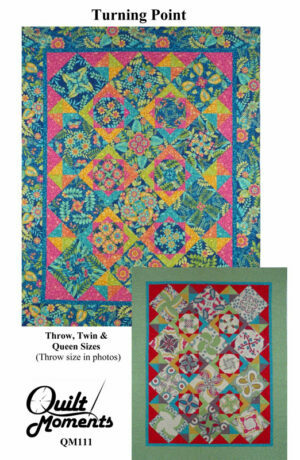 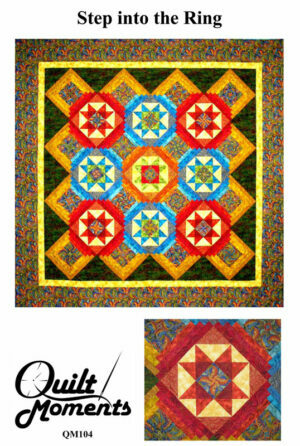 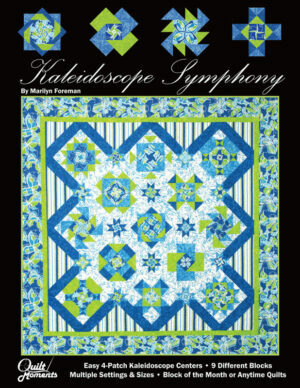 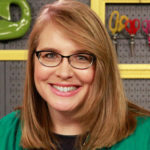 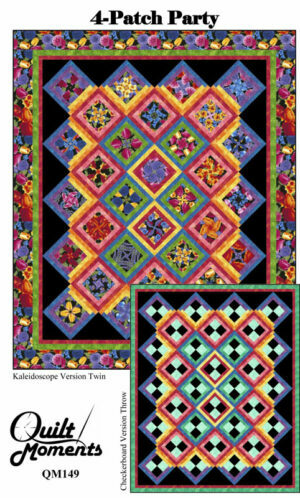 My Quilted Kaleidoscopes online class covers fabric choices and these techniques in detail.